This week we have a Full Moon in Scorpio which will bring some deep transformation and releasing of old energies and belief systems…….a purging of fears, anxieties and doubts. It is a time of death and rebirth on many levels. 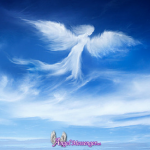 Your angels and guides are with you, protecting you and guiding you along the way! Love and Light to All!